Posted on January 30, 2009 by Deli Lanoux, Ed.D. On the cover of last week’s South Texas Catholic is a photo from the third annual Santo Niño de Cebú celebration at St. John the Baptist Church on January 17th. The best part, of course, was that Steven and I attended the festivities for the first time and thoroughly enjoyed ourselves. On getting back home that evening, I emailed a few of our friends, including Sam and Ning, who’d attended the Sinulog festival previously. Oh, my, gosh!!! The Santo Niño de Cebú celebration was phenomenal!!! Guess who we saw when we walked into church? Four of the Dominican Sisters and Luz from St. Paul’s!!! So we sat with them. Not only that. I took the Holy Infant statue in my tote bag, and would you believe it? Others took theirs, too. There was a table to the left of the altar for the Infants. Father and a woman got me a small box on which to place the Infant ’cause, of course, I hadn’t taken the small wooden box he normally stands on. The Infant’s cape is a bit longer than he is tall, so his cape would’ve looked oddly being too high at the neck; but it all worked out. 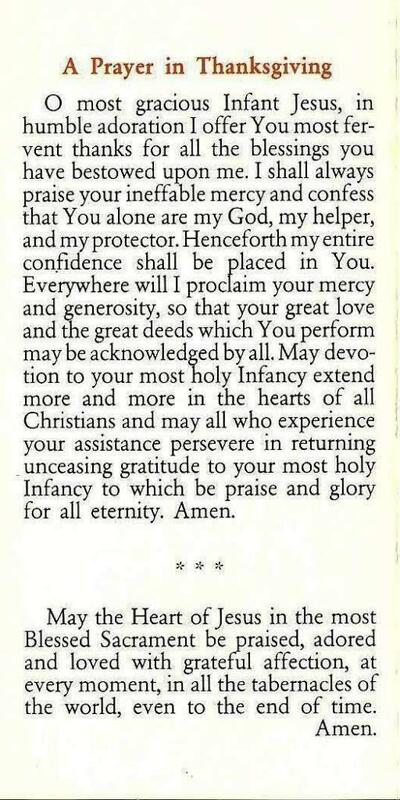 The best part of all is that the bishop blessed all the Infants. I was so touched by the sentiment that I couldn’t stop crying. My Infant is very old and was given to me after mom’s two sisters died. I’ve made his clothes, and he travels with us. To me, he’s as real as every other child; so the bishop’s blessing meant a lot! 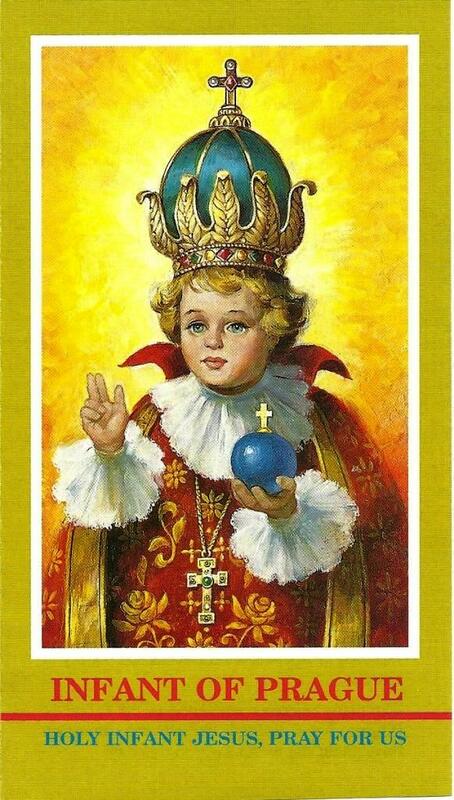 Christmas is not over in the Philippines until the Santo Niño de Cebú feast day. The celebration began in 1521 when Magellan first introduced the statue from Spain. 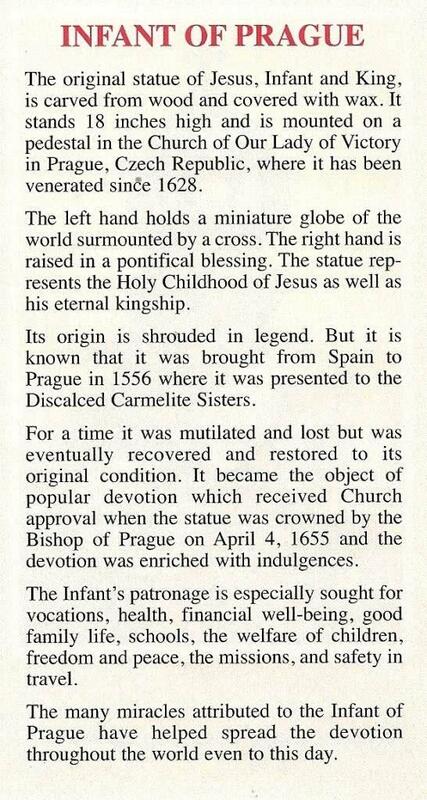 After a great fire, the Santo Niño statue miraculously remained intact; so it’s now a much venerated relic. 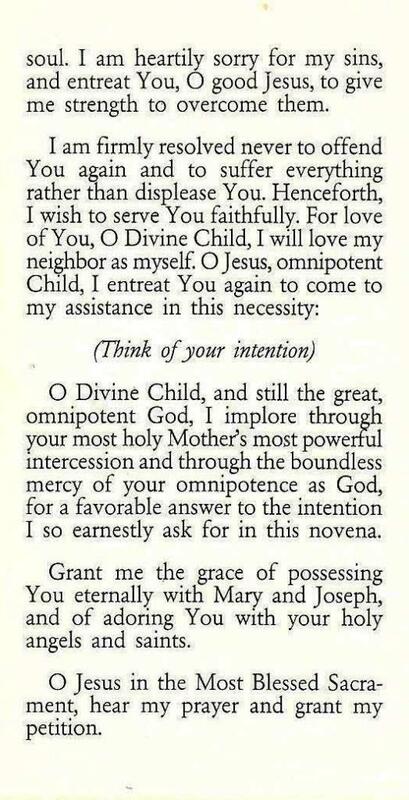 But, whether the Infant is called the St. 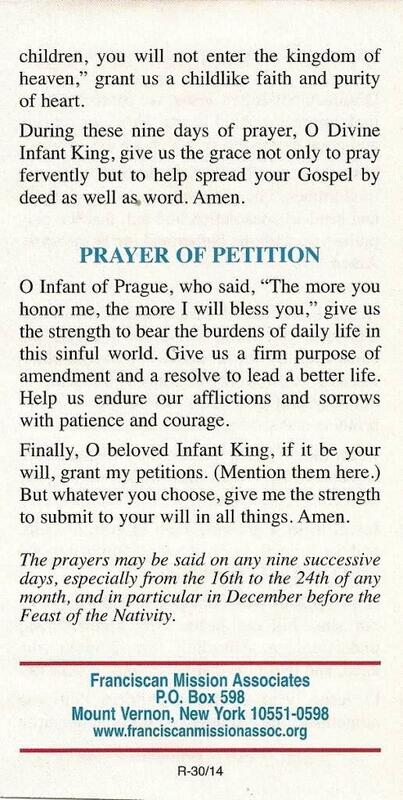 Infant of Prague or the Santo Niño de Atocha, the practice is the same. There are many beautiful stories. Growing up [in Ireland], there were always statues in homes. The custom was to place a coin under the statue, so the family would never go broke. 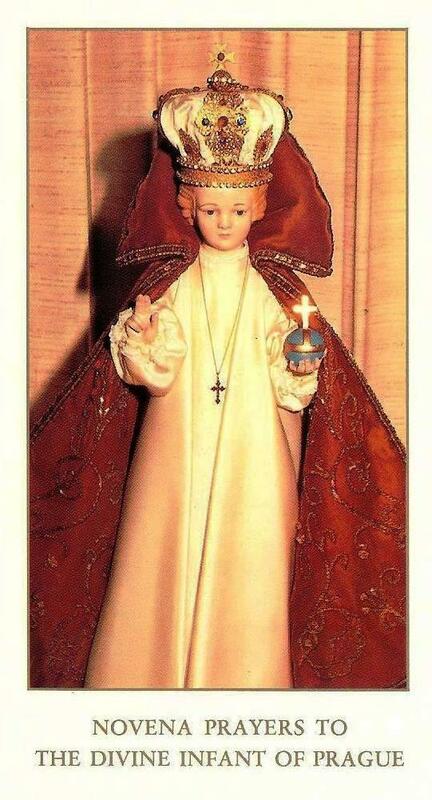 The Infant of Prague statue was placed outside to guarantee fine weather for a wedding. 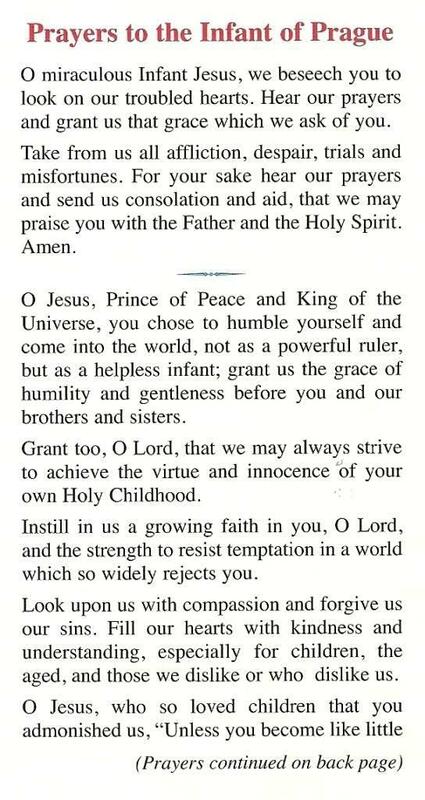 The message from the Santo Niño has always been associated with humility, love, and trust. The Santo Niño calls in whispers. If we listen carefully, we hear him. The Lord calls us in different ways to give us a message to do what he asks. 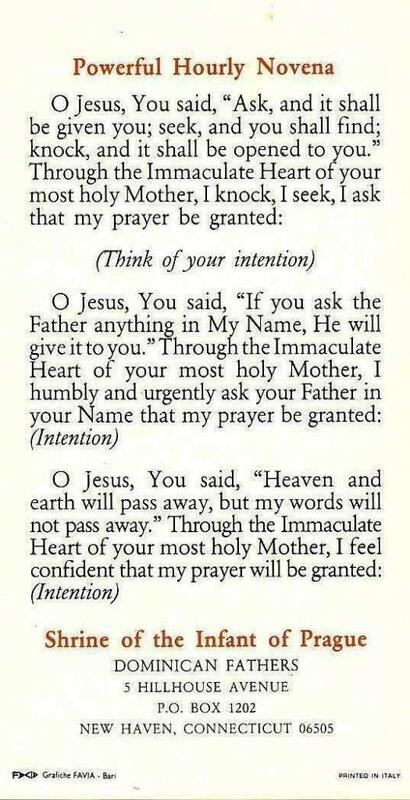 The Lord waits patiently for all of us to come to him, nonjudgmentally to follow him. If we do that… follow his counsel, trust in him… we need not worry. With him all things are possible. After Mass, Sister Bernadette gave us a red balloon. Sister said it’s customary to write one’s petition on a little piece of paper, tie it to the balloon, and then go outdoors to set it free to reach God. Steven and I each had a petition, so we agreed to use his. Sister also explained the tradition regarding the singing and dancing with the statues of the Santo Niño. Then she invited us to join her and the others at the feast. What a spread!!! Lots of food, soft drinks, and socializing among everyone. Alice and her husband were there, too, from St. Paul’s. As we stood in line to eat, a beautiful young girl, Marianne, a junior at Incarnate Word, jabbered away about getting prepared for today’s festivities. During Mass, she’d sung the responsorial psalm beautifully. She told us she’s altar server there at church but also sings with the choir at the cathedral. The bishop greeted her teasingly and complimented her singing. Come to find out that Marianne’s the daughter of the woman, Dr. Medina, who organized the Santo Niño festivities. A most impressive young woman. She wants to be a doctor. I told her she could also go into multimedia, since she’s so interpersonally gifted. She said she’s thought about it. I teased that she could operate on TV. Wonderful kid. But they ALL were. 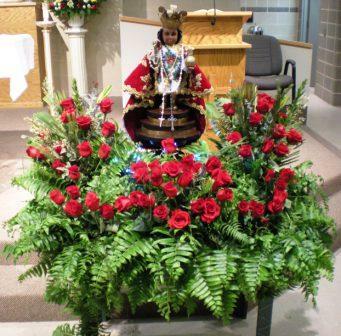 You missed a fantabulous Santo Niño celebration this time around. The Mass was truly special because the kids did such a beautiful job with the readings and the singing. Their participation was inspirational. 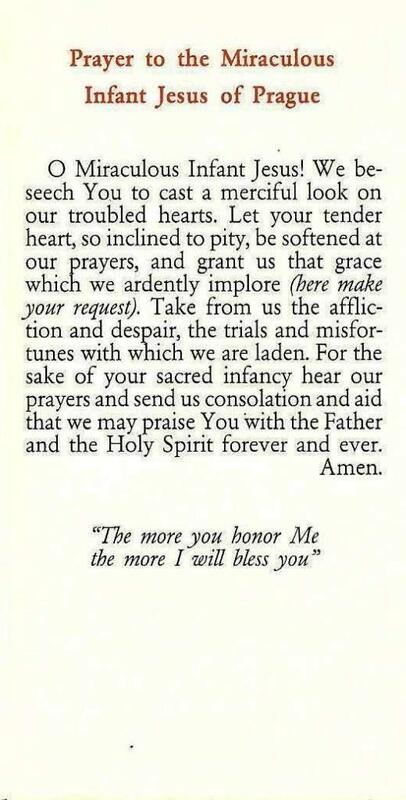 We were also tickled pink to have sent our heartfelt wish to heaven on a red balloon. We had a wonderful time! Our first Santo Niño festival was truly unforgettable! Everyone was enthusiastically caught up in the Infant’s feast day. Certainly, it’s one that both Marianne and I look forward to with great anticipation in 2010. 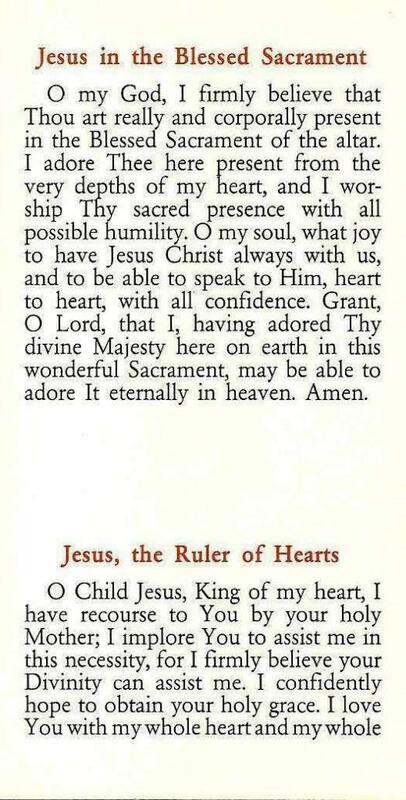 Prayer leaflets are from the Dominican Shrine of the Infant of Prague, 5 Hillhouse Avenue, New Haven, 06511-6815; and Franciscan Mission Associates, P.O. Box 598, Mt. Vernon, NY 10551-0598, respectively. “Even the smallest person can change the course of the future” (J. R. R. Tolkien).